Earlier last month, NMC’s report was criticized a lot, which claimed that there were only 50 waterlogging spots across the city. 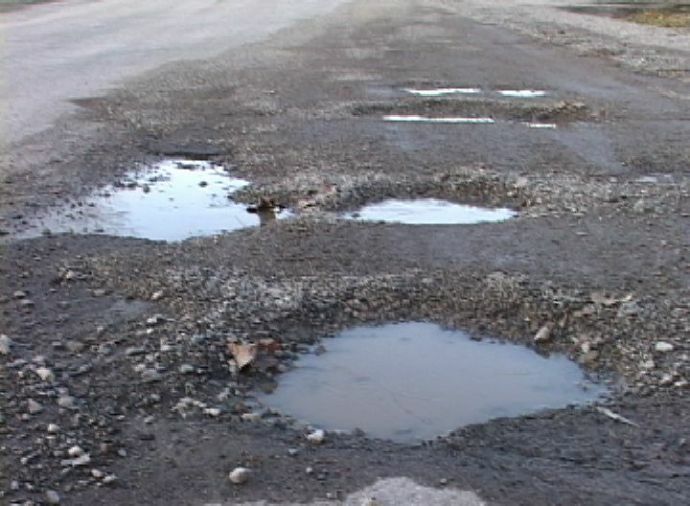 Nagpur Municipal Corporation has come up with a new report of potholes in Nagpur. It’s hard to believe but according to the report, there are only 641 potholes on Nagpur roads along a length of 2,700 km. If this is true then, we face just one pothole after every 4 km! This report was made on potholes on the lines of a number of waterlogging spots across the city. The report sounds so inaccurate that ruling party leaders like Sandip Joshi have also rubbished the findings. Joshi says the report is incorrect and need changes, "NMC hot mix department, through its own mechanism and road jetpatcher, is repairing the potholes. Also, the zone offices are filling the potholes. But mere 641 potholes remaining on NMC roads is nothing less than a mockery. I will look into the report." Last week when NMC's hot mix department collected data of potholes from 10 zones, the report found 1,377 potholes, of which 736 were repaired in the last 15 days and only 641 remained. In the whole report surprisingly not a single pothole was reported from Gandhibagh zone. Gandhibagh, which covers the major parts of Central Nagpur and a few parts (four wards) of East Nagpur, is missing from the report. According to the Congress corporator from Ward No. 18 Bunty Shelke, “There is a big crater near Gangabai Ghat square. Youth Congress activists from East Nagpur staged a demonstration and erected a board displaying Assistant Commissioner Ashok Patil's number. I and many members from the Youth Congress approached Patil and requested him to repair the crater. Nothing has been done leaving the citizens to face accidents. Zone's main road — Kelibag road — is full of potholes. I can count over 42 craters only on CP&Berar College to Model Mill square road, over 18 on Zenda square to Gangabai Ghat road." 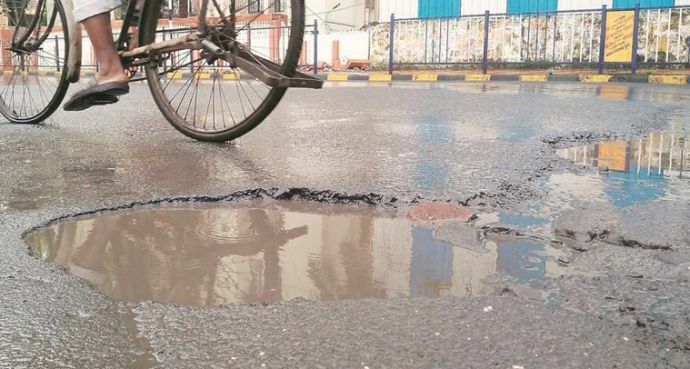 While there are no potholes reported from Gandhibagh zone, Nehru Nagar zone - which covers major parts of South Nagpur - reportedly had only 5 potholes. And the zone's report says, there were 75 potholes and 72 have already been repaired. 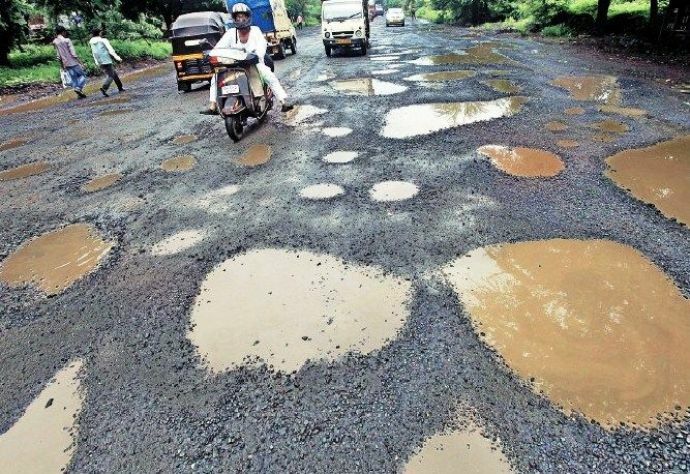 Above all, the second highest 162 potholes were listed in Dharampeth zone. 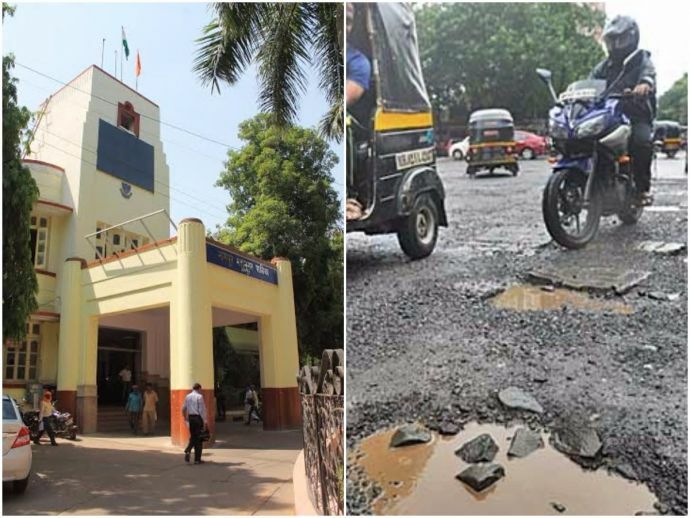 BJP Senior Corporator Jagdish Gwalbanshi said, "Internal roads too are full of potholes and the best examples are Dhobi layout, Ashadeep layout, Airport Society etc in my ward." "Roads under these departments are in a very bad condition. Stretches of Ring Road, especially between Dighori to Kalamna, are like a death-trap," he added.